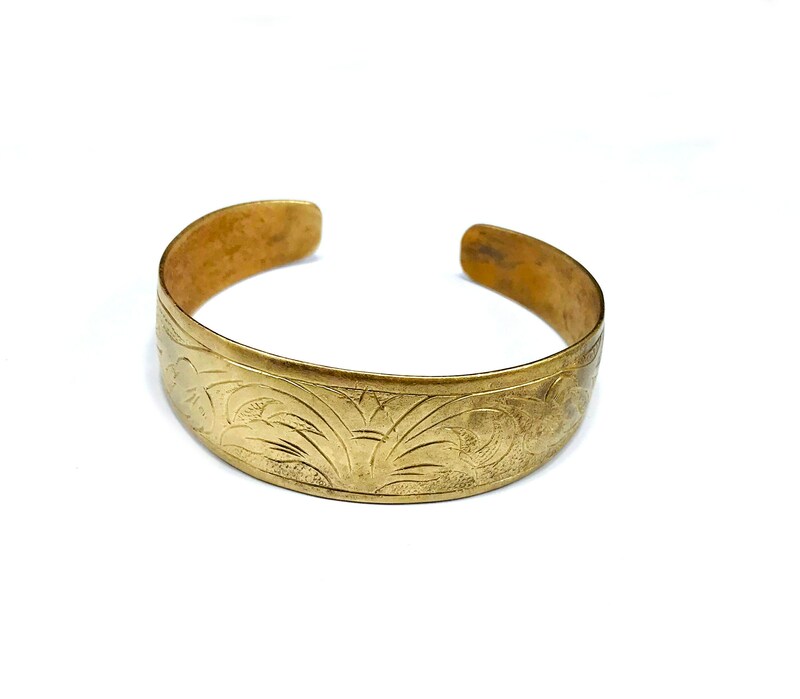 Beautiful, vintage Afghan cuff bracelet in brass metal. 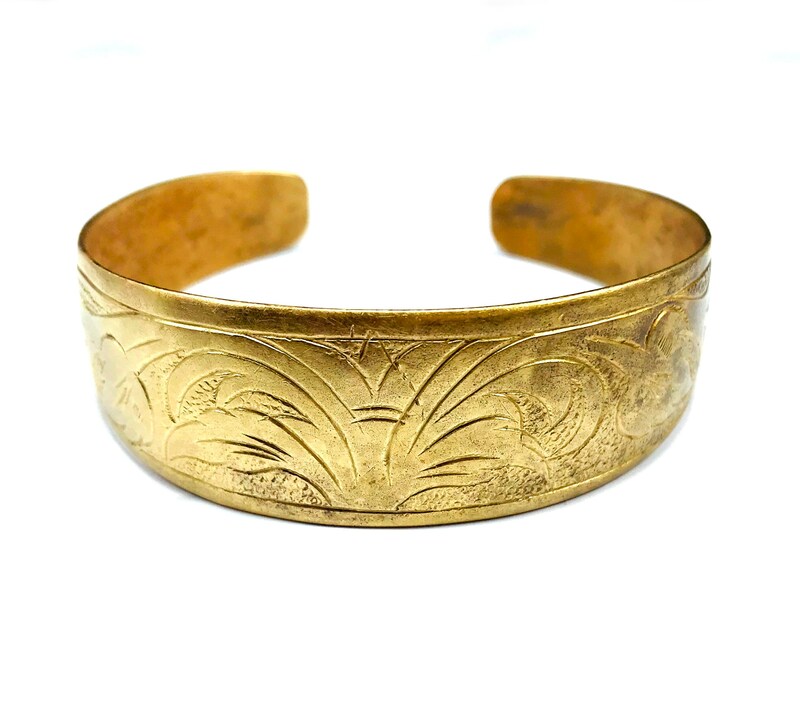 Piece is fairly lightweight and flexible, and would fit most wrists. 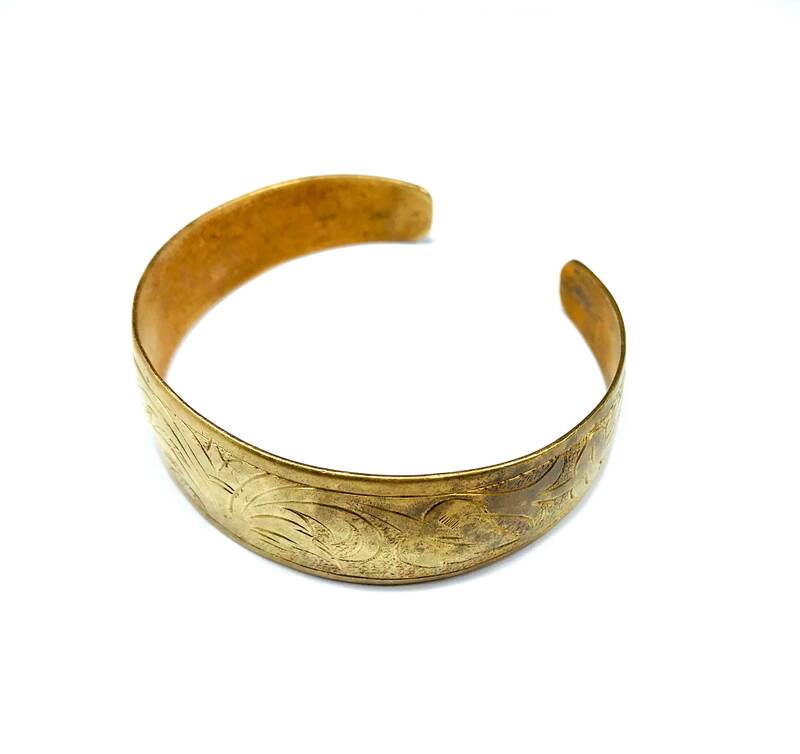 It shows typical signs of wear/age, but has been professionally cleaned.